Drive Smart uses telematics, also known as black box, technology to rate policyholders’ driving and calculate their premium based on it. Drive Smart is part of Sabre Insurance, which launched in 1991. The group specialises in motor insurance and its sister firms are Go Girl and Insure2Drive. Drive Smart uses telematics, or black box technology, to measure how well you are driving. It measures how far you drive, what time you drive, your braking, speed and how familiar you are with the routes that you take. It collects this data using a small box that is fitted to your car and assesses whether you should be paying more or be rewarded by having some of premium refunded. Read our guide to find out more about black box technology and see our list of the eight best black box providers. Black box policies are targeted at young drivers to help them save money on historically high premiums. Learn about our picks of the best policies for young drivers here. The box also acts as a tracker in the event of your car being stolen. 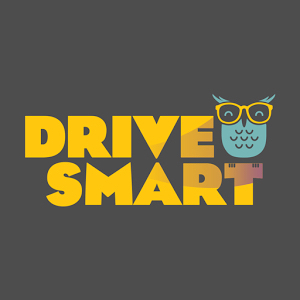 Drive Smart provide the black box as part of the policy along with an app where you can check your driving score and it has a UK-based customer support team available 24 hours a day, 365 days a year. How much does Drive Smart cover cost? Quotes from Drive Smart are higher than the average insurer for all ages, according to Findthebest.co.uk. You can read about the methodology it uses on its site - http://car-insurance.findthebest.co.uk/l/38/Drive-Smart. What do Drive Smart car Insurance customer reviews say? There are not many reviews of Drive Smart online but the handful on Findthebest.co.uk are all negative. Many complain about sudden price increases and poor customer service. Independent financial researcher Defaqto has given Drive Smart's Private Car Insurance a 3 Star Rating based on the features and benefits included in the policy and not pricing or customer feedback. Find out which insurers come top of our lists of the best black box providers and the best car insurance policies for young drivers.